Manufacturing demand has picked up, which augurs well for global mining production, UBS asserts. Purchasing manager indices (PMIs) for key economies have indicated manufacturing activities were recovering in March, with the UK, China and the US reporting growth of 5.8%, 2.6% and 2.0% respectively. However, UBS notes PMIs for Germany and the Eurozone dipped -7.4% and – 73.7% respectively. Trade tensions are also easing, and the broker notes developing Asian markets have lifted their contributions to global growth, although some emerging markets languished. The performance of lithium in 2018 was less than ideal, amid meaningful falls in Chinese pricing and expectations of oversupply. Canaccord Genuity suspects the outlook is not as poor as these two details suggest. Demand growth is ongoing and new supply is yet to materialise. Average prices ex-China are up year-on-year. Most producers missed their targets in 2018 and the broker has less confidence in forward supply forecasts. The main response is likely to come from the higher-cost hard rock lithium this year and brine should follow early in the 2020's. The market share of hard rock lithium is expected to increase to 68% by 2025, from 48% currently. Meanwhile, demand is likely to reach an inflection point in the mid 2020s and the broker forecasts demand of 2.2mt of lithium carbonate by 2030. This would be up 700% on 2018 estimates. Still, supply growth is likely to outpace demand from 2020-24 before a deficit emerges by 2025. In the longer term, supply is expected to struggle to keep pace. In the here and now, stronger pricing is required to turn sentiment and lift equities, Canaccord Genuity believes, and this may not happen. The broker prefers lower-cost projects over pure-play concentrate producers, because of pricing pressure. Top picks in Australian lithium equities include Orocobre ((ORE)), Kidman Resources ((KDR)). The instability in Venezuela continues and rolling blackouts are crippling its oil industry. Assuming President Maduro remains in power and US sanctions stay in place, ANZ commodity analysts can envisage a continued fall in production and exports over the next 18 months. Venezuela sources 80% of its power supply from the Guri hydroelectric complex in the state of Bolivar. Relying significantly on one facility, the country is struggling to make up lost output. Reports suggest the national oil company, PDVSA, has been forced to curtail production at its heavy oil projects in the Orinoco belt. The analysts note the grid's increasing fragility is generating public anger and could become a tipping point for a transition of power. If such a transition took place the US is likely to lift sanctions. The analysts assume the worst-case scenario of 500,000 b/d of crude production by the end of the year. As the current sanctions alone are not envisaged bringing about a change of government, the analysts await evidence of a change in the political climate before adjusting forecasts. China's premium coking (metallurgical) coal reserves are depleting and there is little supply coming online. 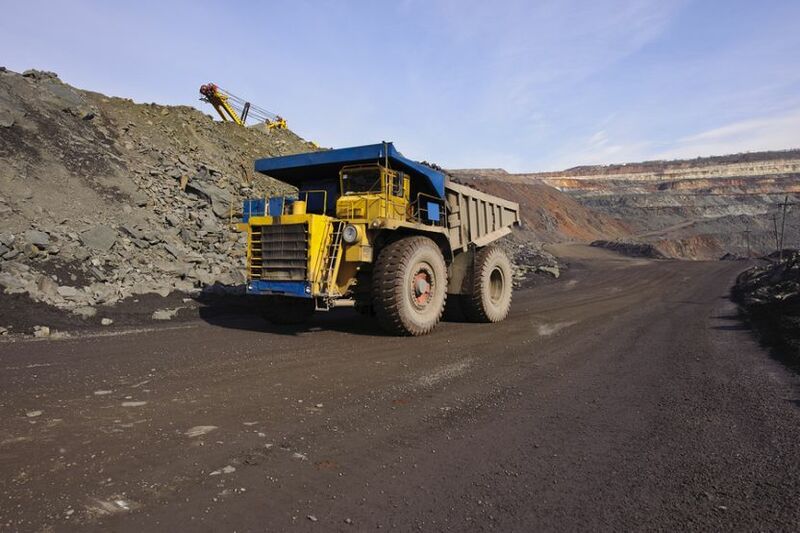 Credit Suisse observes, large state-owned enterprises in China remain highly leveraged and require a strong coking coal price to reduce their debt to levels mandated by the government. Credit Suisse has become more positive on the sustainability of the US$200/t hard coking coal price and expects Shanxi prices may remain in this vicinity. The Australian prime hard coking coal price is more volatile than Shanxi but broadly traces the same trends. A recent separation in the two prices has been driven by China's coal import ban in late 2018 and apparent restrictions on Australian coal in 2019. Platts reported steel mills have been told to reduce exposure to contracted metallurgical coal exports. Credit Suisse points out China is short on low-sulphur hard coking coal so the mills will need Australian coal and continue to buy on spot. Hence, Australian hard coking coal is expected to remain linked to Chinese prices. Credit Suisse assesses the iron ore market is looking tighter than envisaged several weeks ago. The broker had assumed a -50mt cut to Vale's output whereas the new guidance is for a reduction of -65-75mt. Moreover, following Cyclone Veronica in Western Australia, Rio Tinto ((RIO)) has announced force majeure and a -14mt outage. BHP Group ((BHP)) expects to lose -6-8mt. Credit Suisse assumes, based on the new supply guidance, a -30-40mt iron ore shortfall that could draw deeply on port inventory. The broker suspects its US$80/t price forecast for the year is now looking a little low. Credit Suisse has learned, following a visit to alumina refineries in Shanxi, that refineries in Shandong that use imported bauxite are no longer the highest cost units. Instead, inland refineries in the north-east of China, particularly Shanxi, have become the highest cost. Some Shanxi refineries are becoming starved of supply, taking around RMB550/t for third-party bauxite, which is up from RMB200/t in 2016. Most refineries are still operating, hoping the provincial government will relent on tough environmental policies. Authorities have closed open-pit bauxite mines to prevent dust adding to air pollution. Credit Suisse also points out Shanxi is too far from the coast to sustainably use imported bauxite and there is actually no shortage of bauxite in Shanxi. There is also no shortage of alumina in China. However, the current Chinese alumina price is close to the average cost and probably too low to be sustainable.